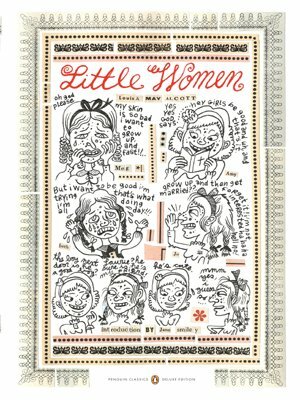 The classic story of the March family, Little Women has been adored for generations. Now in a vibrant new deluxe edition with an introduction by Jane Smiley and a cover by Julie Doucet, the novel follows the lives of four sisters-tomboyish Jo, beautiful Meg, fragile Beth, and romantic Amy-as they come of age while their father is fighting in the Civil War. Since 1868, readers have rooted for Laurie in his pursuit of Jo's hand, cried over the family's tragedy, and dreamed of traveling through Europe with old Aunt March and Amy. In this simple, enthralling tale, Louisa May Alcott has created four of American literature's most beloved women. About Siobhan Kilfeather (Editor) : Siobhan Kilfeather is a published author and an editor of children's books. A published credit of Siobhan Kilfeather is Little Women (Penguin Classics). 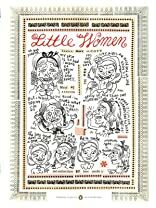 About Julie Doucet (Illustrator) : Julie Doucet is a published illustrator. A published credit of Julie Doucet is Dangerous Drawings: Interviews With Comix & Graphix Artists.